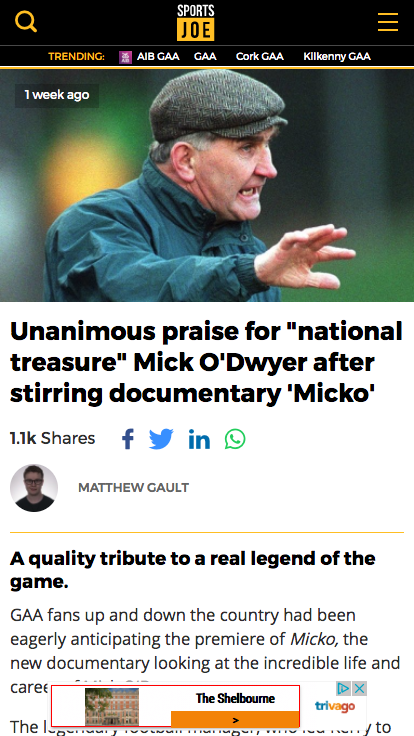 SportsJOE.ie. 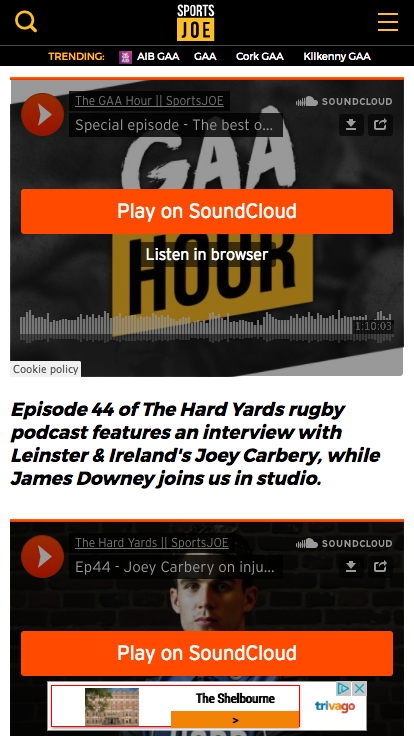 Sport Never Sleeps - a spin-off of JOE.ie, the website for Irish men, SportsJOE.ie is the first website of its kind in Ireland. 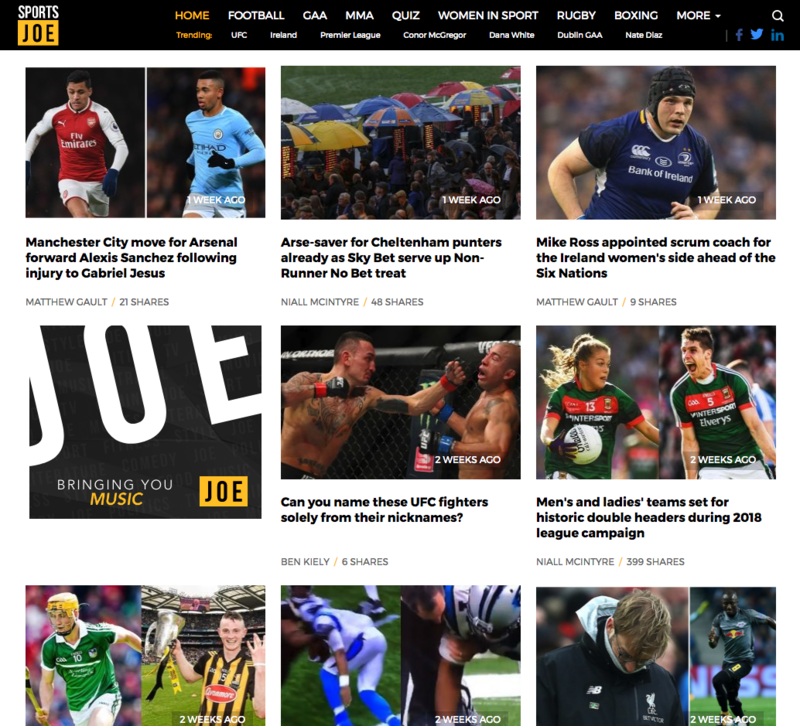 Written by a team of journalists working every hour of every day, SportsJOE.ie brings you all you the latest in GAA, rugby, football, MMA, US Sports & much, much more! 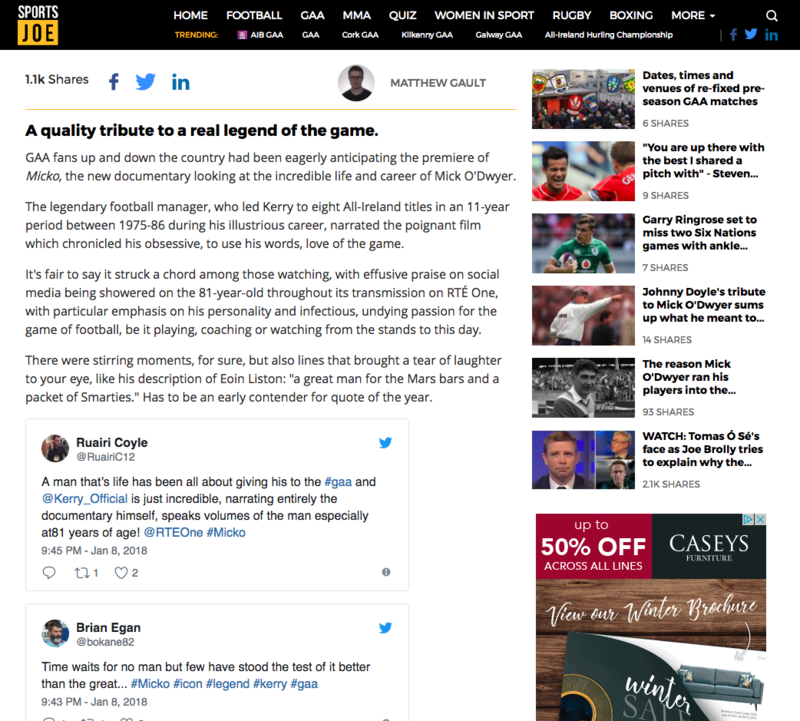 Square1 were commissioned by the team at Maximum Media to design and develop a dedicated sports website. 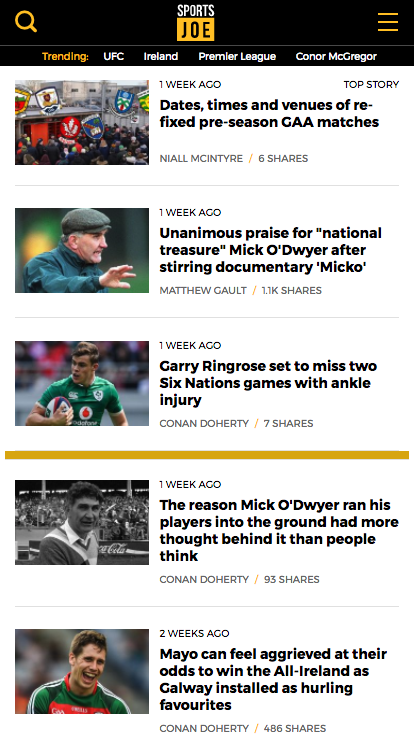 We developed a fully mobile responsive website along with iOS and Android mobile applications. 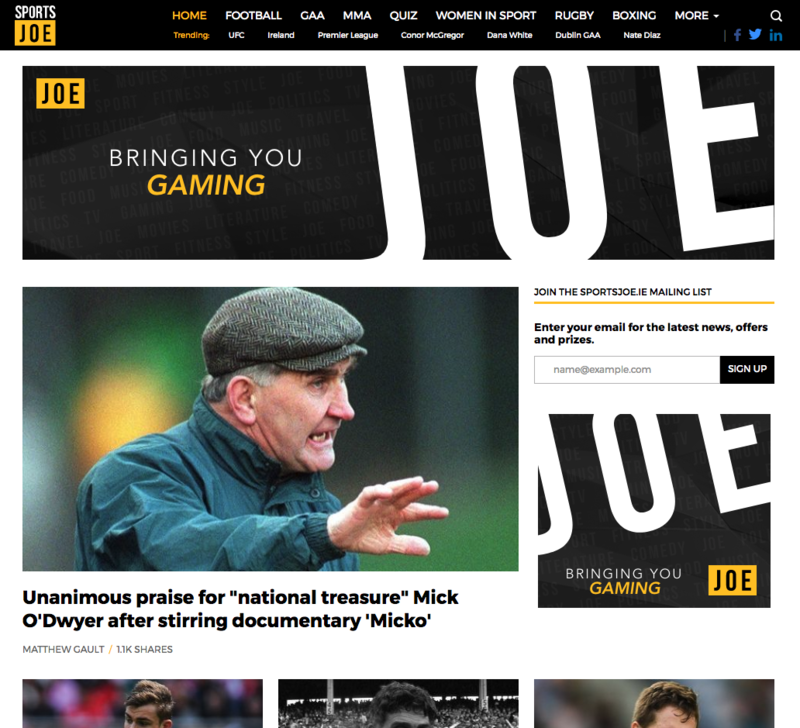 The new site is fully integrated with Google DFP ad server, this allows the team at SportJoe full control over site wide sponsorship integrations.